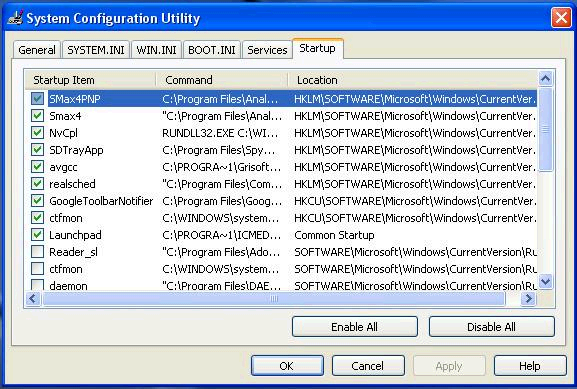 How to Disable Windows Startup Programs. When a computer is turned on, and Windows starts to load, Windows begins to load other programs as well. 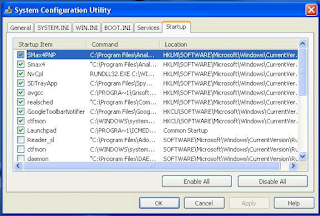 Some of these programs are important to the normal operation of your computer, while others provide conveniences or features, and others still may serve no purpose or may even attempt to harm the computer. While Windows itself comes with a few of these start up programs built in, the vast majority of them come from programs installed on the computer. For example, installing iTunes on a computer will cause two additional programs to start when a computer is turned on. Normally, allowing a few of these additional programs to run is not much of a problem, but as a computer get more and more use, the number of programs starting with the computer starts, the computer’s performance starts to suffer as a result. 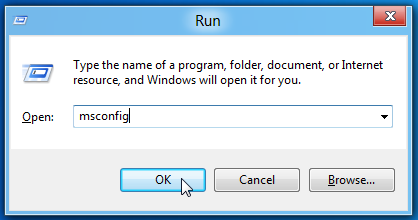 NOTE: If you are using Windows XP, open the Run dialog box from the Start menu, type “msconfig.exe” in the Open edit box, and click OK.
Click the Startup tab on the System Configuration main window. A list of all the startup programs displays with a check box next to each one. To prevent a program from starting up with Windows, select the check box next to the desired program so there is NO check mark in the box. Click OK once you have made your choices. A dialog box displays telling you that you may need to restart your computer for the changes to take affect. Click Restart to restart your computer immediately. If are not ready to restart your computer, click Exit without restart. JAPANESE GOVERNMENT (MEXT) SCHOLARSHIP FOR 2019 (TEACHER TRAINING STUDENTS).